The conference has brought together thousands of climate action decision-makers, advocates and activists, with the objective of adopting global guidelines for the 197 parties of the 2015 Paris Agreement, when countries committed to limiting global warming to less than 2°C – and as close as possible to 1.5° – above pre-industrial levels. Globally, transport accounts for one quarter of total emissions – 8 gigatons per year, according to the Intergovernmental Panel for Climate Change (IPCC). This figure is 70 per cent higher than 30 years ago. It is estimated that over 1 billion passenger cars travel the streets and roads of the world today and, if we don’t take urgent action, by 2040, the number of cars on the road could double. The transition to e-mobility is clearly alive with opportunity… But needs to be carefully managed so that the world can yield all the potential benefits in full – UN chief, António Guterres. “This is unsustainable, unacceptable and not compatible with the Paris Agreement targets,” said José Mendes, Chairman of the Transport Decarbonization Alliance, a group of 20 countries, cities and companies committed to pushing for low-carbon transport. When fossil fuels – oil, gas and coal – combust to power vehicles, that creates air pollution. This in turn causes health issues: according to a special report issued by the World Health Organization (WHO) on Wednesday. 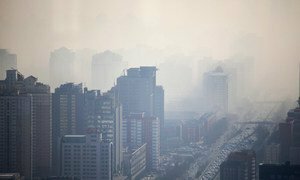 Air pollution is now the fourth largest cause of death worldwide, with about seven million people dying each year from it. “The true cost of climate change is felt in our hospitals and in our lungs,” said WHO’s Dr. Maria Neira, who presented the report to COP24 participants. “The 2015 Paris climate agreement is really a public health agreement,” she told UN News in an interview. The first electric vehicles were produced and sold at the beginning of the 1900s and sales peaked in the early 1910s. But technological developments and the discovery of large oil reserves displaced the electric vehicle in favour of the combustion engine. 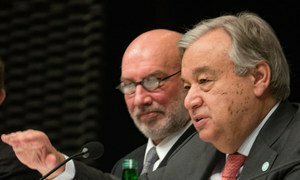 “Now, almost 100 years later, electric vehicles are coming back and need to increasingly displace the combustion engine in favour of reducing emissions and air pollution,” said UN Secretary-General António Guterres, during a high-level electro-mobility event, held here at the conference in Katowice on Tuesday. There is one major caveat, he warned the hundreds in attendance: “The growth in electric vehicles will have a significant impact on electricity demand – and this needs to be kept in mind,” he said, explaining that “if not managed carefully, the additional demand will create challenges across all sections of the energy system, particularly at peak times,” and that e-transport that is dependent on electricity made from fossil fuel combustion, could end up adding to the problem, not alleviating it. To prevent this from happening, investments need to be made into creating electricity from renewable sources, not from fossil fuels, and ensuring a solid supply chain. “The growing awareness for clean air and climate change means that many governments around the world have begun embracing e-mobility,” said the UN chief during an event dedicated to electric transportation at COP24. “Many are putting in place the policy frameworks and infrastructure needed for sustainable transport. A growing number of countries and regions have announced plans to phase out fossil fuel vehicles and to shift to e-mobility,” he explained. • The United Kingdom and France intend to ban all new sales of petrol or diesel vehicles after 2040; this is also being discussed in China. • South Africa is targeting a 5 per cent reduction in greenhouse gas emissions from the transport sector by 2050. • The capital of Ecuador, Quito, is betting on electric bus fleets. • South Korea’s Government plans to supply 1 million electric vehicles in the next two years. • India is discussing the possibility of having 15 per cent of its cars to be electric by 2023. 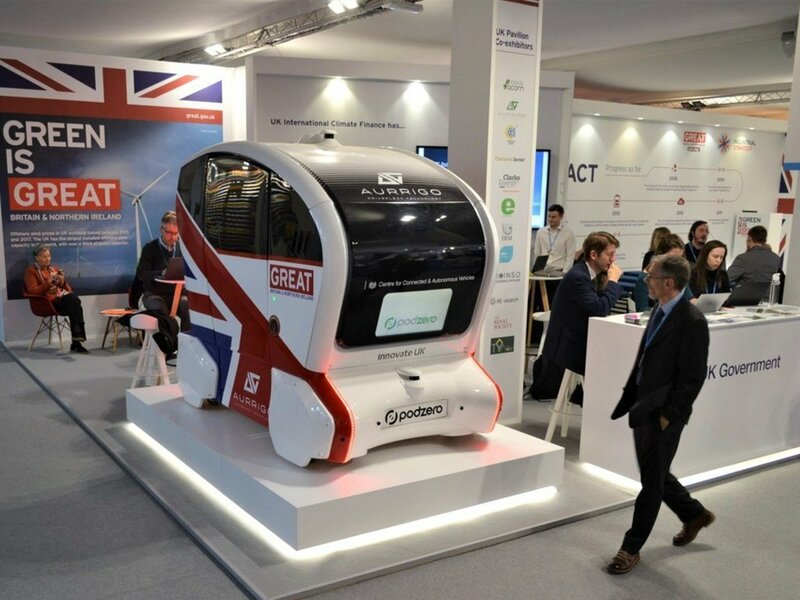 At COP24, on Tuesday, various climate action stakeholders adopted a proposal by the United Kingdom and Poland named the “Driving Change Together” declaration, which the UN chief hailed as “an essential step towards a decarbonized transport system”, urging “all actors to support it”. “If we get [electric mobility] right, then a decarbonized transport system will be part of the solution,” he stated.